Begley Team are a highly distinguished family enterprise that center their real estate practices around exceptional customer service, extensive knowledge of their local communities, and incomparable insight in all areas of real estate. Fancy Falcon continues to provide the client with ongoing consultation services, Analytics & Webmaster management, as well as SEO optimizations. Mesa Secure is a family company dedicated to serving those who serve us. Mesa includes Torrey Pines Technologies and Mesa Secure which deliver best-in-class solutions to high-reliability customers. 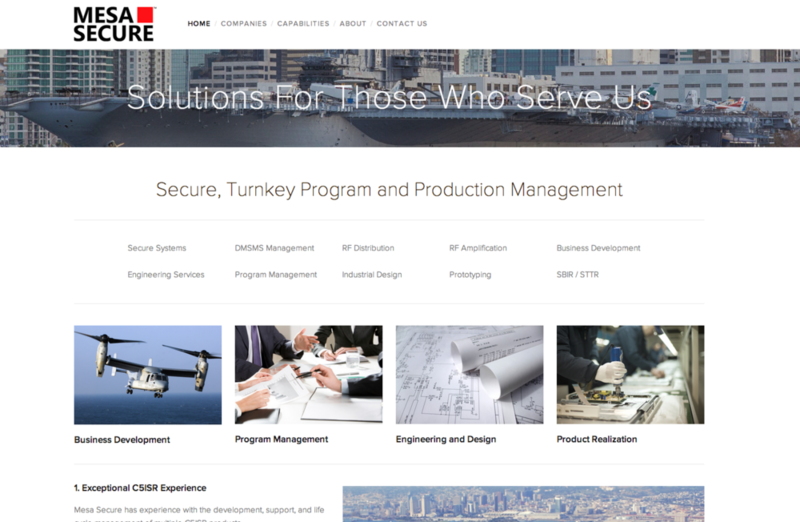 Fancy Falcon continues to provide the client with ongoing consultation services, management of their domains, and implementation & administration of a SquareSpace CMS website. Taste for Student Success at California State University, San Marcos (CSUSM) is an annual adventure of tastes, sights, and sounds held on the CSUSM campus at the Markstein Hall Plaza as a fundraising event for the College of Business Administration (CoBA). Fancy Falcon continues to provide the client with ongoing consultation services, management of their domains, and administration of a Wix CMS website. L Words provides a copy-editing service, helping produce polished, professional documents that meet communication needs while retaining unique voice and style. Fancy Falcon continues to provide the client with ongoing consultation services, implementation & administration of a SquareSpace CMS website & blog, domain management, and acts as their designated Webmaster. JE | the NETWORK is a matchmaking firm specializing in quality relationship introductions coupled with image consulting, personalized date coaching and VIP concierge service. They bring together love and elite lifestyle services to career-focused professionals. Fancy Falcon continues to provide the client with ongoing consultation services, administration of a WordPress CMS website, management of a separate WordPress.com blog, domain management, and social media consulting. The Palladian Consulting Group specializes in supplying IT staffing and technical support for a wide array of clientele including Healthcare Facilities, Private and Public Corporations, and State, Federal, & County Government Agencies. Fancy Falcon continues to provide the client with ongoing consultation services, implementation & administration of a SquareSpace CMS website, implementation & management of a Google Apps email system, and domain management. K&KW Group, Inc. is actually the parent company of Fancy Falcon, so of course we designed and manage their website and all web services! Previously provided the client with our consultation services, website hosting, domain management, and technical operation assistance. Previously provided client with our consultation services, Blogger-to-WordPress conversion, blog hosting, and technical operation assistance. Previously provided client with our consultation services and technical operation assistance. We continue to manage their domain.